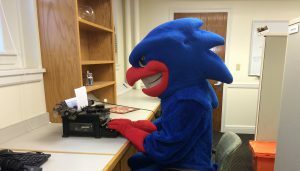 Uncategorized Archives - Get Ready to Ride with the River Hawks!Get Ready to Ride with the River Hawks! Look. We’ve all been there. The semester is chugging along and we are all way too stressed with classes and having a social life to really worry about heading to the gym. There is just simply not enough time in the day to get everything we want done right? You have plenty of time to get everything you need to get done. You just need to plan and use some of these tips. 1. Portion Control – You would be surprised how hard this one actually is. Before college most of us didn’t control how often we ate. Just because you are here now and we have an all you can eat dining hall does not mean you should literally have all you can eat. Pay attention to calories and make sure you manage the amount you intake! 2. Make Smart Eating Decisions – Get diversity in your diet. Make sure you are eating vegetable and fruits. You can do this by fitting in one salad a day! Find your favorite mix of greens and make sure you get a bowl of it daily. The makeup of the food you eat is huge in taking steps to being a healthier college student. Stay away from the fried and opt for the grilled. Keep tabs on your sweets, its okay to have some dessert every once in a while but if you find yourself eating a bowl of ice cream a day its time to make changes. 3. Make a Gym Schedule and Stick to it – The gym isn’t just for getting ripped! Getting thirty minutes to an hour of gym time a day is huge for your health. That gym time could be used playing your favorite sport like basketball or maybe you’d prefer to sign up for a Zumba or Spin class. Anything works as long as you are sweating and getting active. Also make sure you stick to your schedule. Until you establish a routine and know you aren’t gonna quit on it then take no off days. Don’t let yourself make excuses. We are all metaphorically dying. The work is piling up and the deadlines are all cropping up out of nowhere. All means of staying organized and managing time that you set at the beginning of the semester have gone out the window and you are just clinging on for dear life. 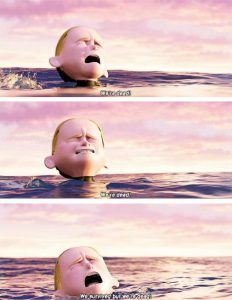 It’s that point in the semester. In a lot of ways, the mid-to-end of the semester sense of existential dread builds a sense of community on a college campus, from the under-eye bags to the sweatshirts everyday to the knowing glances among your peers. 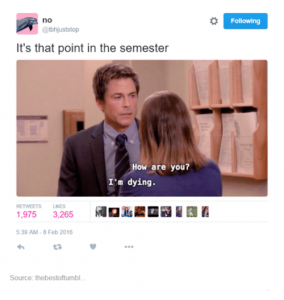 The internet seems to come together for the communal reassurance that you are not alone in the struggle to push through to the end of the semester. Even though it is tough, there are ways to find motivation to finish out the semester strong. Take a step back. It is totally okay to take breaks for self care and re-establish your routines for organization and time management. If you don’t take time for yourself, you are setting yourself up for failure! Stay organized! 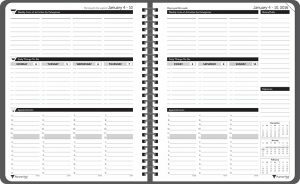 Remember that planner you bought at the beginning of the semester? Now is the time to take it back out so you can have a visual representation of your deadlines, which will make it easier to stay on top of things. Go to class and do your homework. This one speaks for itself. I know that it gets overwhelming, but it’s so important to your success! I know that it’s really hard to stay on top of everything, but you got this! Managing a good balance between social life, academics, and sleep are vital to keeping yourself happy and sane. Which leads us into time management. Now it may seem like I’m beating a dead horse but without an organized schedule, you’ll be prone to forget important items and that’s not optimal in a work or college setting. A square peg doesn’t fit into a round hole. For example, if you know that you tend to procrastinate, don’t schedule extracurricular things before the assignment’s due date; that’s asking for trouble. Likewise, if you are the type of person to get everything done right away, you should free up time after classes. However, the first step is to identify what type of person you are. Now I don’t mean go out to eat every day or buy yourself something expensive. We’re talking about the little things. 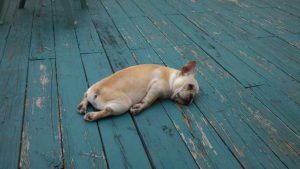 Things like: treating yourself to a nap when you need it, allowing yourself to spend time with friends for an hour or so before starting schoolwork, or giving yourself a 5 minute stretch or walk because you’ve been grinding away at Lyndon or O’Leary Library for 5 hours. This will alleviate some of the stress you are feeling so treat yo’self. Please do this. Our University Dining Commons on east campus, McGauvran Center on south campus, and dining at the ICC, offer a variety of healthy food choices for you to nourish yourself with. We have the wonderful Campus Recreation Center that is available for all students to use in order to exercise and stay in shape. However, sleep is all up to you to obtain. Sleeping allows the brain to retain the information that it learned that day, including all those notes you took in class. With these tips in mind, go out there and live a healthy lifestyle! So we are over halfway through the semester now and fully into the swing of things. Midterm season is upon us and as I am sure most of you are realizing it is really tough to keep track of everything. I simply CAN’T stress how important it is to establish your routines. Getting into a routine really helps you deal with all the stress that comes from being a college student. Even the small things, like making sure you eat three times a day or going to the gym every other day, can really make a huge difference. Now how do you establish a routine? Using some sort of planner. Whether it is with an app or with a physical planner is up to you. Don’t be afraid to experiment with different methods as you never know what works best for you until you try it. And WRITE EVERYTHING. Don’t let yourself slack off make sure every due date is there even if it is something you will remember anyway. This is about building habits for success and those take time to build up. Block off time for necessary tasks. If you have an exam coming up block time in advance to study. If you want to start hitting the gym then block off time and STICK WITH IT. Time Management is a big skill you need to learn in college in order to succeed. Avoid Burnout. College isn’t all about school. You need to schedule breaks and time off for yourself. Your mental health is just as important as your physical health so treat it that way! Also if you are mentally exhausted all the time then you are going to take longer and longer to accomplish things! At the end of the day this all comes down to your preferences. If you already have a system in place, then make sure you keep on top of yourself and you should do great! Going to college can be a an eye-opening experience, and not just from an academic standpoint! For many people, a college campus is the first time being exposed to so many people with different backgrounds, upbringing, and experiences. 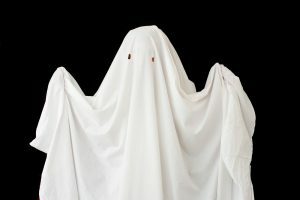 With Halloween fast approaching, we must be sensitive to how our selected Halloween costumes may be perceived by others with different backgrounds. We had to start this list off with a classic! 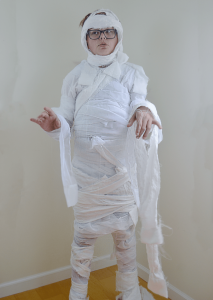 Halloween costumes don’t get much easier than this, all you need is a bed sheet and you’ll have a delightful costume that everyone will love! 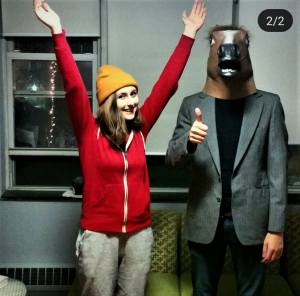 Though this makes for a great couple costume, these costumes also work great individually! They are pretty easy to put together and you will get lots of compliments on your fun reference to one of the most popular shows on Netflix. This is a great DIY option for a Halloween costume! With just a little bit of effort you’ll have a great costume and everyone will know what you’re supposed to be right away! Feeling creative? 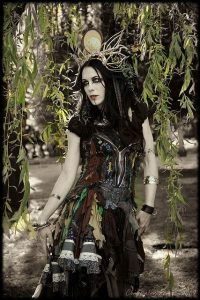 A Swamp Witch costume might be a great option for you! The best part is that there is no set standard for what a Swamp Witch has to look like; you can put your own spin on it! Feel free to experiment with different clothes, makeup, and overall looks! 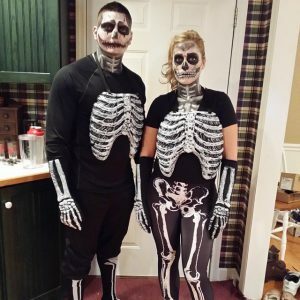 Skeletons are a fun, classic, and spooky costume. There are many different ways to execute and put your own personality into the costume! The ideas for Halloween costumes are endless, and remember, it costs zero dollars to be sensitive to the backgrounds of other people! Vilma is an international student. She’s a junior, Public Health major. 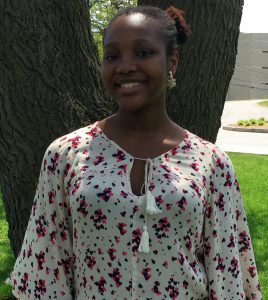 She was an orientation leader for two years and now is an orientation coordinator. I asked her a few questions about orientation! Q:How did you hear about applying to be an orientation leader? A: I was walking in my residence hall and I saw a poster of Chris Jackson’s face. I thought this job looked fun and as an international student you cannot work anywhere other than on campus so it worked out! Q: Were your nervous about being an orientation leader? If so, why? A: I was nervous because pre-orientation I was relatively quiet and took a lot of time to warm up to people. I was very nervous about going up to people and talking to people I was unfamiliar with all day. Q: What was your favorite part about being an orientation leader? A: My favorite part was getting to meet new people. Bonding with staff and then bonding with students allowed me to make personal connections. Q: What was a challenging thing about being an orientation leader? A: Keeping my energy up throughout the day and as we got into later sessions. Q: How does being an orientation coordinator differ from being an orientation leader? A: Its a lot more behind the scenes work, more planning and the biggest difference is that I don’t get students anymore. Q: What are you looking forward to this summer? A: I am looking forward to seeing the orientation program through a different perspective. My first year was different than my second year since i was a returner and now being orientation coordinator, i will see it in an even different perspective. Q: Are you nervous about anything for this upcoming Summer? A: I have more responsibility now and I really want to do a good job. Finals are less than a month away and you are JUST realizing you have no idea what has been going on in class all semester. You are panicking, you are reviewing materials, you are stress napping.. but are you meeting with your professor? Don’t be that person that waits until finals week to meet with the one person who knows what is going on! Meet with your professor a few times and you will see just how helpful office hours are. Not sure where the office is or when they are available to meet? Think back, long, long ago on the very first day of class when your professor handed out a syllabus? And on that syllabus were his or her office hours! These are their available hours throughout the week that you can stop in and chat about what you don’t understand. Professors love when you stop by because it shows that you are putting in an extra effort to understand what they are teaching. Also, don’t hesitate on emailing your professor and schedule a set time or just email him for clarification! 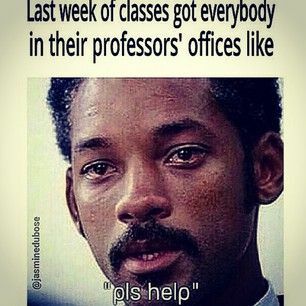 Your professors are here to help you! Around this time of the year, when the weather is nicer and pant legs get shorter, people start thinking of the beach and their bodies. Here are some tips to help you be the best you as the temperature rises. People always say it’s okay to change your major, but forget to add that each major has its set of difficulties. One should change their major to match their passions, not their desired homework level. If that were the case, I would have majored in sleep studies (if only that were a thing). Senioritis is real! Avoid taking heavy course loads senior year if you can help it. I’m completing my Honors Thesis and I want to crawl in a hole, but the work isn’t even difficult! Imagine if I were taking Physics or something of that nature!? Make the most out of your experience. You don’t want to reach senior year and wish you had gotten involved on campus. I ended up joining the Step Team senior year and I also plan to go on a Campus Rec Adventure Trip- skydiving! Sleep is very important. But you probably won’t do much of it unless you set your sleep schedule up for success. AKA don’t start online shopping at 3am. Yes, those shoes are awesome, but you won’t feel so awesome at your 9am class. TRUST ME!! Not knowing is okay. Wallowing in your self pity about not knowing is NOT okay. Seek out resources! 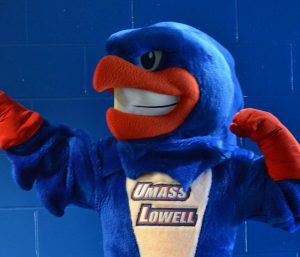 There are so many at UMass Lowell. Just Google it! Learn to say “no”. This can mean no to relationships, playing video games the night before an exam, taking substances, joining clubs, etc. In the long run, your peace of mind is WAAAY more important. Trust me, escaping humans is very important to keep your sanity. Educate yourself outside of your major. This is why I joined the Honors College. Otherwise, I’d know a lot about proper weight lifting techniques and nothing else. Surround yourself with people who have traits you’d like to emulate because iron sharpens iron. If you find yourself in a group you want to be the opposite of- RUN AWAY! Unless they’re running on the track and you want to run to, then run with them. 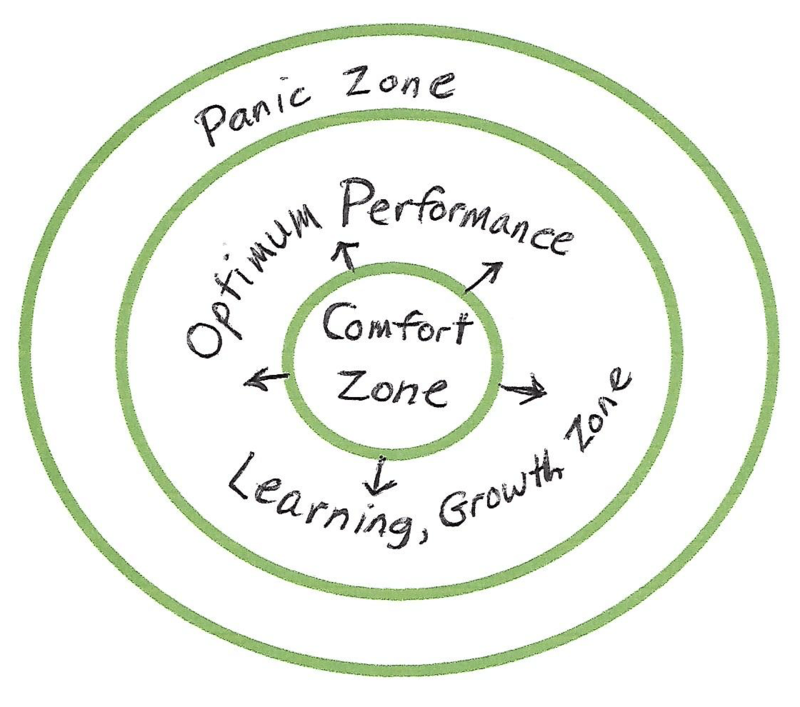 Have fun and slowly inch out of your comfort zone! I always say, “What’s the point of life if you’re not enjoying it?” Plus, along the way, you’ll find yourself, new friends, and a plethora of new experiences! …I would continue, but I have NOT been setting my sleep schedule up for success and it’s nap time! Couldn’t get to any marches that were in Boston or Washington D.C? In our city, there will be a march dedicated to eradicating sexual violence. 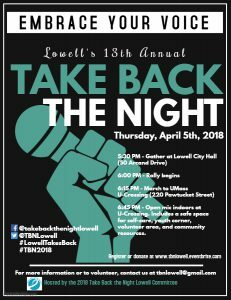 Join Lowell in its 13th annual Take Back the Night. THIS Thursday, April 5th, people are marching from City Hall, located in Downtown Lowell, to University Crossing! This will be an empowering rally with survivors and supporters coming together. Lowell is planning on taking back, so be there and embrace your voice for survivors, loved ones and supporters! Interested in volunteering? If so, contact tbnlowell@gmail.com!